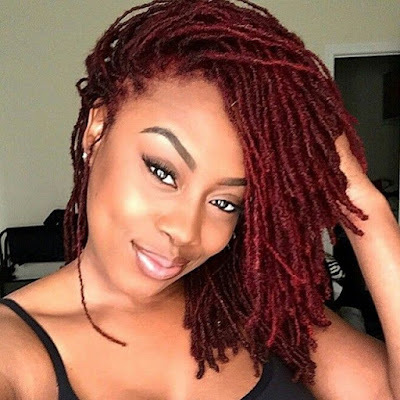 Home Hair Diary Loo's Hair and Body Hair Diary || Loose Twists Undone + New Products? 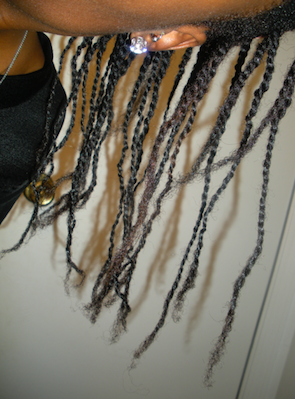 Hair Diary || Loose Twists Undone + New Products? And now for more hair pics! 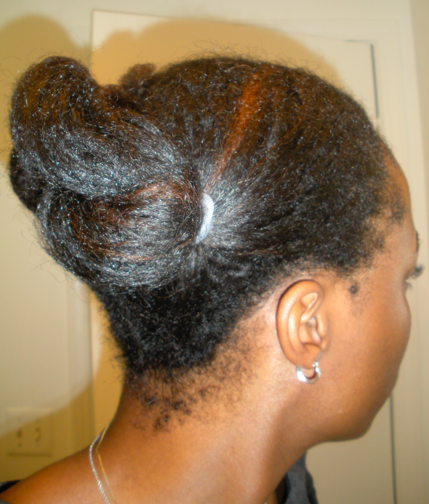 Day 1 of loose twists on flat-ironed hair. You can barely see them. Week #2. 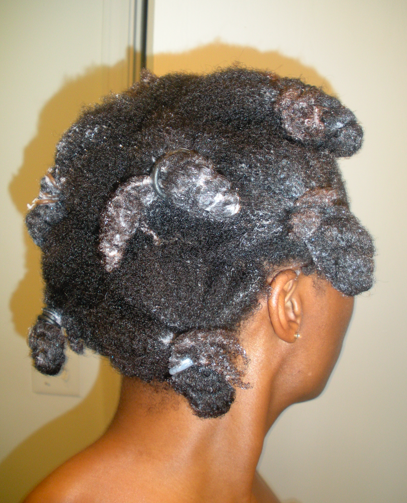 Braid-out on loose twists. The separate sections you see are actually loose twists. Going "red" for the day (via temporary red hair spray). Deja vu from a few years ago? 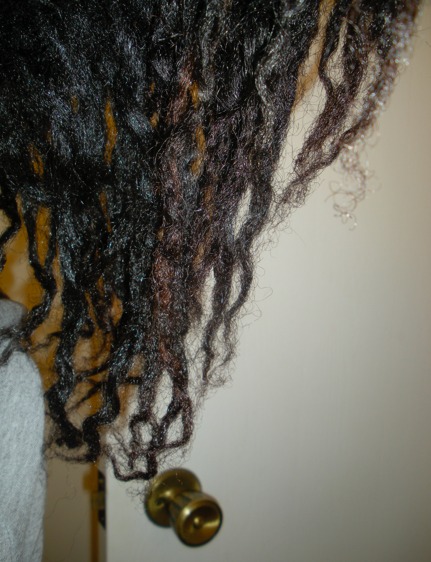 Detangled (with fingers) and conditioning. 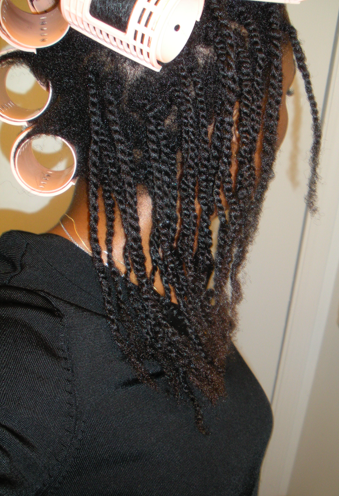 From roller set to twisting, and on the same day! 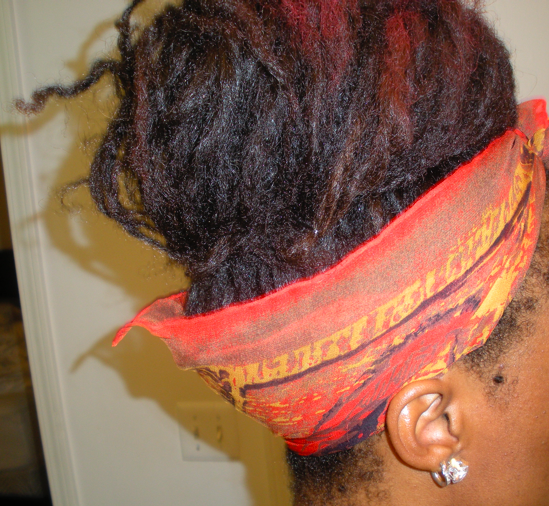 I didn't let the set dry all the way because of time, but again, it did a WAY better job than my other air drying + stretching techniques. 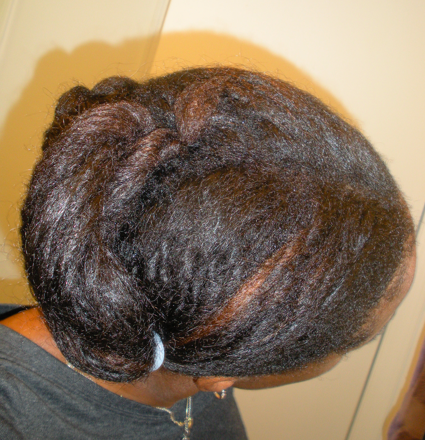 In the pic, my hair is about 70-80% dry. Okay, I can explain. My current Lemon Desert Essence is becoming more of a "warm" weather shampoo, so I bought this Coconut Desert Essence to be using during the cold season. The Brazilian Keratin Conditioner was the only reasonable protein conditioner I could find while on vacation. (I didn't pack my conditioners with me.) I actually like it though! The ApHogee was bought prior to all of these (and also happened to be the one I left at home while on vacay). It is my go-to when I need a slightly stronger protein fix than ORS. 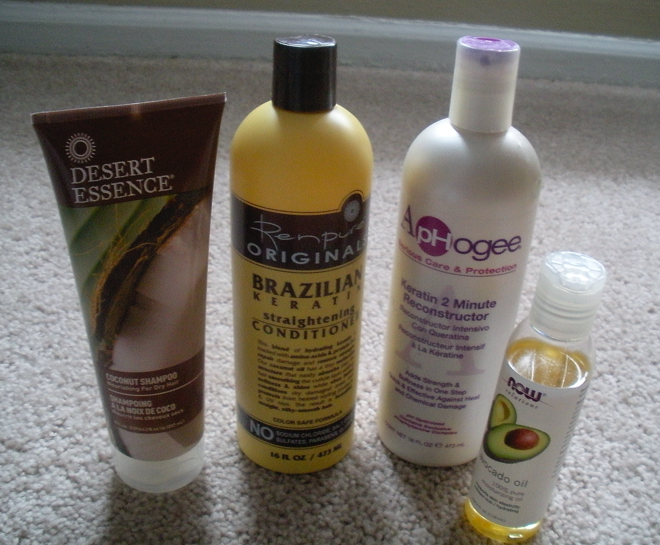 And, lastly, the avocado oil is for moisturizing my face at night. I like it so much that I added a bit to my shea butter mixture.